We offer entertainment booking for events of all types and sizes and have options for audiences of all ages. We are available for feature or ambient entertainment. Let us help make your dream a reality- we LOVE creating customized packages. What’s more, you’ll be spreading joy beyond your special day since a portion of each booking fee goes directly towards supporting our local and international projects which bring Circus and Smiles to communities that need them the most-one red nose at a time. If you can dream it, we can make it happen! Contact us today. Optional: circus themed party favors and red noses available! ​Bring a unique circus experience to your child’s next birthday party or special event with a private circus class led by a Circus of Smiles instructor. 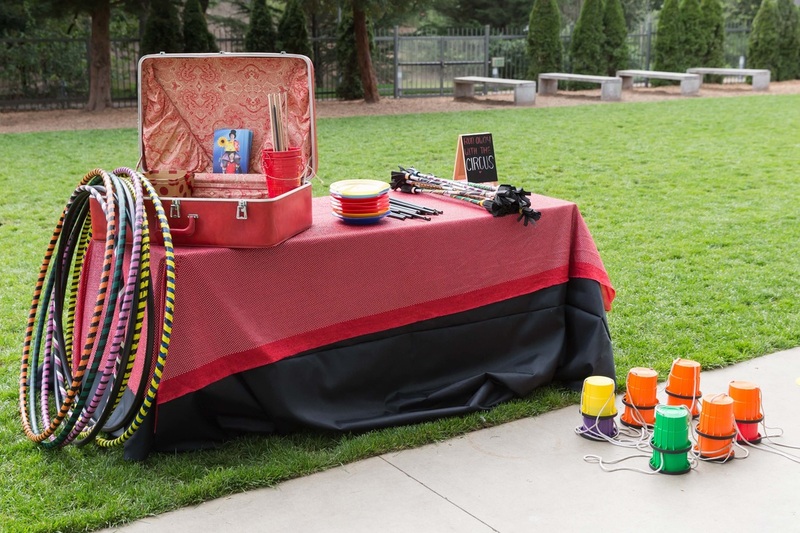 Your party guests will be led through non-stop fun and games that culminate in a small performance. They’ll get a chance to try juggling, clowning, building human pyramids, theatre games, and more! It’s an unforgettable experience for everyone, but especially the birthday child who will be made star of the show while everyone performs! Get ready for endless laughter and be prepared to keep your kids from running away with the circus! Let our talented painters help you put your best face forward. Our community of skilled artists can create designs to compliment your event's theme, or free style based on each guest's request. We pride ourselves on hiring only the best painters in the Bay Area; they paint approximately 15 faces per hour and are true artists who train in their art form. Learn more about our Face Painting and Glow options here. "I hired a beautiful fairy, Bri, who not only did amazing face painting but also performed for thirty minutes and the show was awesome! She came so well prepared, with great tricks. I was looking for something original and I got it. Entertaining, beautiful costume, funny, professional, on time, flexible. The kids said it was their favorite part of the party!" M.V. "Circus of Smiles is a great way to bring a little extra something to an event (for adults OR children) and they work with you to make sure its the best event possible." Paloma F.
"Circus of Smiles did such a great job entertaining the kids and teenagers at our CALICO picnic last weekend. High energy, high entertainment and LOTS of smiles. Thanks Circus of Smiles!" Leslie O.